kadyellebee is a knitwear design shop, specializing in creating patterns with captivating techniques and a story behind them. the patterns available on this site feature a variety of knitting techniques like lace, short rows, drop stitches, and more. currently featuring 4 shawls in different shapes and sizes for your knitting enjoyment! visit the patterns page for a gallery and to buy your copy. are you looking for a handmade item? the etsy store has prototypes for sale: a wide variety of shawls, scarves, and bags are ready for any season and many styles. click "like" to follow the kadyellebee facebook page. kadyellebee designs by Kristine Beeson are available digitally online and in physical copies. Digital copies can be found from the patterns page with links to purchase on Ravelry. Some patterns are also available on Knit Picks and Etsy. Are you a Local Yarn Store that wants to carry high quality prints? Please use the contact page to get in touch. 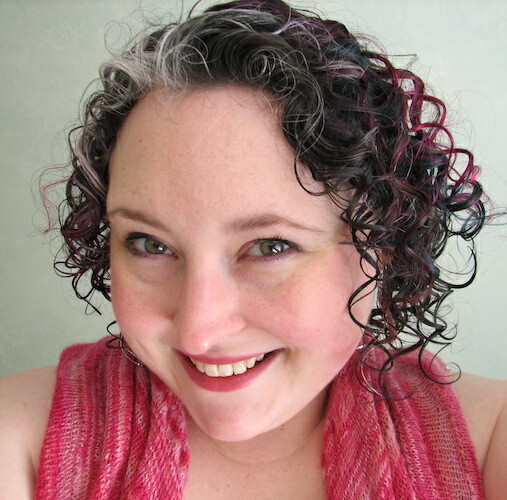 kristine is a giggly geeky mindful girl who loves to craft.